MOST highly (emphasis placed) qualified professionals are adept at their “skill sets”, otherwise, they wouldn’t be recognized as experts in their fields, right? Now that said barometer is set straight, let’s push the bar higher. SPECIFICALLY, in investigative journalism – with an emphasis placed upon counter-terrorism and related Islamic and geo-political topics – little is more intrinsic than the tactical ability to “connect the dots.” While this highly attuned skill is imperative for a variety of fields, re the aforementioned, it can be a matter of life and death. Stipulated, failure to hone this critical component is not necessarily because of an imminent loss of life, rather, it is often about future events. Folks, this reference is not about soothsayers, nor hindsight is 2020! The Islamists counted on the US authorities turning a blind eye to their intentions; and their assumptions proved demonstrably and deadly accurate. Rabbi Kahane’s assassin was an Egyptian named El-Said Nosair. Soon after the murder, the investigating authorities found among Nosair’s belongings many boxes of Arabic writings, which for years were inexplicably not translated. Unbelievably, they included detailed plans for the upcoming 1993 World Trade Center bombings, the trial-run for 9/1101! In addition, Nosair was also a protege of Sheikh Abd Al-Rahman, the internationally infamous “blind sheikh” from a Jersey City mosque, convicted of the 1993 World Trade Center bombing. Furthermore, the gun used to kill Rabbi Kahane was given to him by Wadith El-Hage, a member of Al-Qaeda, who was convicted for the 1998 US embassy bombings. Significantly, in March 1997, an Egyptian Muslim opened fire at more than a dozen people who were congregated on the rooftop of the Empire State Building for a sightseeing visit. Three years later, in the fall of 2000, the USS Cole was attacked, albeit overseas. The nexus to this Islamic hydra was growing exponentially (the above are only some examples of their lethal attacks on US soil and US interests overseas), yet US investigative authorities kept undeniably missing the links. The catastrophic attacks of September 11, 2001, on the World Trade Center and the US Pentagon were a direct culmination of their blindness. However, from day one after Rabbi Kahane’s murder, his supporters besieged US authorities to view it as an Islamic act of jihad. But to no avail. Coincidentally, Rabbi Kahane’s personal lawyer, Mr. Shannon Taylor, was also at his side when he was gunned down. In fact, he collapsed at Mr. Taylor’s feet. He never imagined that the camera he brought along to take pictures of the gathering at the Marriott Hotel would later be used to takephotos of a dying Rabbi Kahane. These pictures were taken to compile evidence for eventual prosecutorial purposes. In fact, these same images were the ones which circulated all over the world right after the murder. Immediately, Mr. Taylor approached the local New York office of the FBI and the US Attorney General’s office with sources of information. Acclaimed terror investigator Steve Emerson produced a documentary, Jihad in America, that exposed that the FBI had buried moles and spies deep within some of the Islamic terror cells. However, no tangible results on Rabbi Kahane’s murder were forthcoming from the FBI. Coincidentally, Mr. Taylor had the occasion to speak with the newly retired CIA head, William Sessions. Mr. Taylor was flabbergasted to learn that Mr. Sessions never saw the crime scene pictures taken of Rabbi Kahane’s murder. This should have been the first order of business, to hand over the pictures to the head of the CIA. After all, that was a logical conclusion to make when Islamic terrorists were being pursued. What was later revealed, though, managed to fill in the blanks as to why no results were forthcoming in Rabbi Kahane’s assassination investigation. In a nutshell, the FBI was not only taken off Rabbi Kahane’s case, but all Islamic “infiltrating” was halted. President Clinton ordered the CIA, and the CIA then demanded that the FBI cease and desist. The Congress also squeezed the FBI. Why? The true motives are anyone’s guess. However, from 1990 until the 1993 first World Trade Center bombing, these groups were not monitored. DAVE GAUBATZ: When I was in Iraq I had the opportunity to interview several captured Al-Qaeda members. I asked them what type of future attacks America would endure. The answer over and over was that the hearts of Americans would be attacked. They explained that this meant the American children would be attacked because they are the hearts of the American people…..continue here…. AND in case readers are wondering why the “terrorist of interest” feels so connected and comfortable in his home state, well, Minnesota(stan) didn’t become Islamized overnight. Think: Michigan(stan) and its trickle down knock-on effects! Yes, Dearbornistan alike. WHICH brings us directly to today’s Egyptian-American featured terrorist, and exposes why ignoring this site’s repeated warnings can accrue deadly consequences. 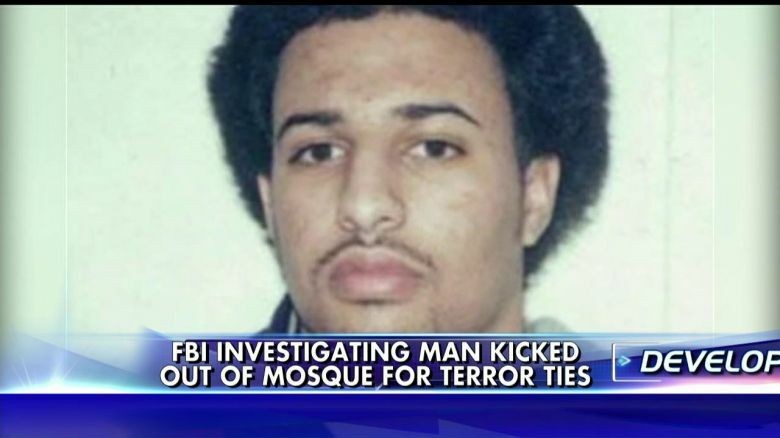 BTW, there is some nonsense being reported by FOX, mainly, that two mosques wanted him booted, and that the FBI/DHS had/has him in their sights. Not exactly accuracy in reporting, but why quibble. 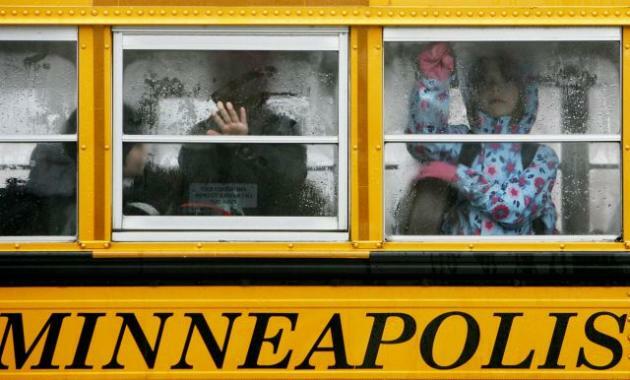 If you live in Minneapolis, an Al-Qaeda Muslim terrorist suspect could soon be driving your child’s school bus. 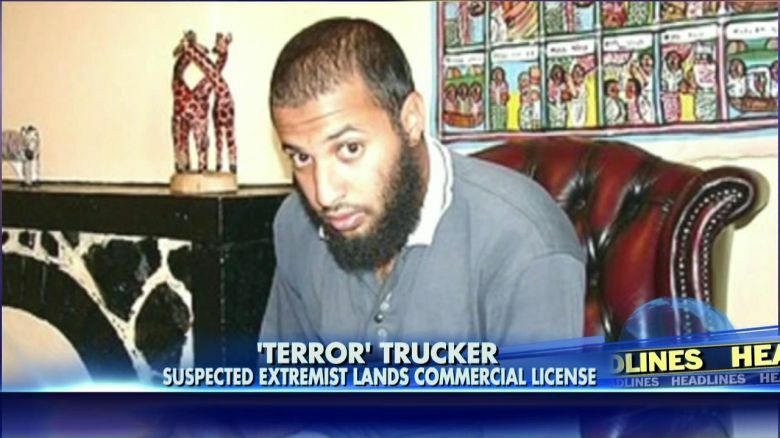 A Minneapolis MUSLIM man suspected of terror activities has been granted his commercial truck driving license, and he is now vying for a special endorsement to drive school buses, says Fox News 9. HMMM…”needless to say, people are shocked by the news”, well, not those who regularly read these pages! MIND you, even FOX News is behind the curve, in so far as they have NEVER exposed the related investigative counter terror dots, ones which led to this dire situation to begin with. PRAY tell, FOX fails to ask the LOOMING query, where heretofore disjointed dots would become fully connected: Why, in heaven’s name, would Amir Meshal…six of one, half a dozen of another…want a “special endorsement to drive a school bus? ?” On the other hand, they did ask the opposite side of the question: “Why would a man suspected of terror ties be given the keys to a semi truck or a school bus full of children?” Yet, they shied from the real thrust. Intrinsically, their inquiry is a tsk, tsk type of question, yes, the FEDS missed another “bad guy”, as if the core issue is that they merely have to step up their game. BACK to the opening thesis – the mandatory “skill sets” – and its life-saving resonance. It is through a highly developed and attuned skill set re Islamic jihad (and all its aspects) that this investigative journalist implores patriots to bypass elected officialdom, as well as major media outlets, relative to what’s what. THE ‘persons of interest’, now living in Massachusetts, are Sunni Muslims from a very large clan spread throughout Lebanon. While this part of the Mid East is most well-known for its Shia/Hezbollah/ Tehran axis – over 54% of Lebanese are Muslim – approximately 27% are Sunni. AN entire clan operates as successful retail entrepreneurs, owning stores ‘related’ to this particular type of operation. Even more so, they have a distinct presence within community-based organizations and clubs, just like many successful retailers. Hiding in plain sight. Hmm…..
NOW, which group receives an abundance of cash from their laundered money/gold? Well, the HABBASH Group is a main recipient and it is a branch of Al-Qaeda in Lebanon. Recall, this information too: ‘ISIS is an offshoot of Al-Qaeda, its creator ! MOST significantly, an informant (vetted by an impeccably credentialed counter-terror contact) handed over very detailed information (which is not posted, and for various reasons) with NAMES, ADDRESSES, TRAVEL plans etc to relevant FED agencies. The Attorney General’s Office has reviewed your recent inquiry to the Criminal Bureau for the purpose of deciding whether to assign this matter within the Criminal Bureau for a more comprehensive review of the facts, make an inquiry on your behalf, or intervene in this matter. allegation that is brought to our attention. I am advising you that the Criminal Bureau will not be conducting any further review or investigation of your complaint. I am sorry that this office cannot be of further assistance to you. SINCE then, several attempts (most recently, within the first quarter of 2015) were made to re-engage the FEDS by Dave Gaubatz, a premiere counter-terror expert. Nevertheless, it was to no avail. CAN readers dare imagine the sheer amount of terror operations financed (at least) since 2011, due to their inexcusable refusal to investigate (provable) Islamic jihad in the heart of Massachusetts?…read the whole thing! CONSEQUENTIALLY, if nothing else moves patriots to step it up more than a notch (again, ignoring officialdom), picture the kiddies and the very likely prospect of an Al-Qaeda terrorist (whether this one or that one…ISIS aligned or attached to another jihadi group…makes no diff) blowing up a school bus, or gaining access to a school through employment as a custodian or what not!